Termed ‘Hollywood South’, New Orleans is the site of a burgeoning cultural economy of film and television production. In the wake of Hurricane Katrina, this production plays an important role in the city’s rebuilding. 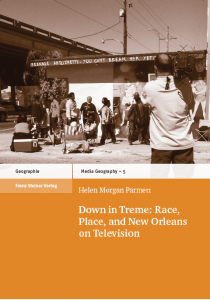 Down in Treme: Race, Place, and New Orleans on Television takes the HBO series Treme, filmed on-location in New Orleans, as a case study for exploring relationships between television production and raced and classed geographies in the rebuilding of post-Katrina New Orleans. Treme demonstrates how city efforts to attract film and television production collide with the television industry’s desire to create new forms of connection for increasingly distracted audiences through the production of “authentic” connections to place. Down in Treme explores what is at stake in these collisions for local culture and struggles over the right to neighborhood and city space. 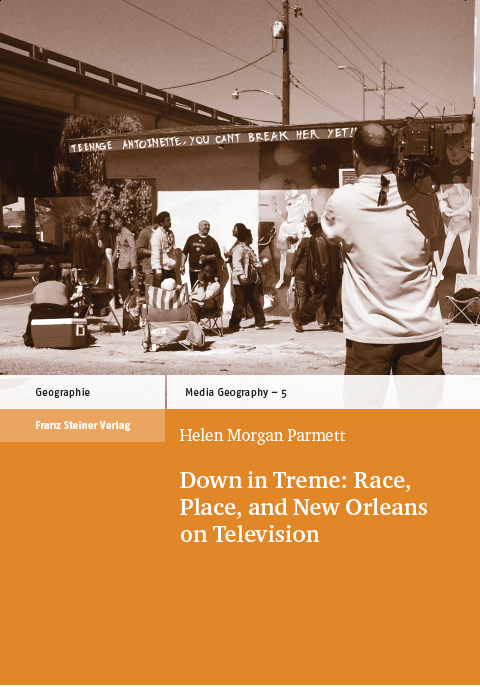 By putting post-broadcast television studies, critical race theory, and urban studies into conversation, Down in Treme provides a poignant case study that enjoins scholars to go beyond the text to consider how media industries and production practices intervene into the contemporary media city.